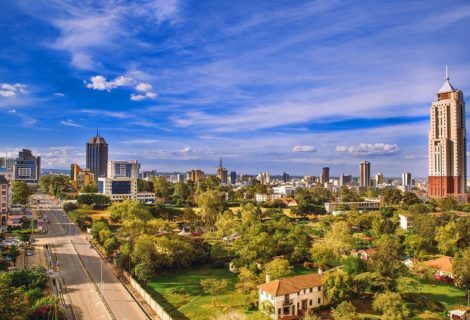 In the last 5 years, business relations between Pretoria and Harare have turned sour, as a result of the later resorting to the use of various techniques and shenanigans to minimise imports from her neighbour across the Limpopo River. All in the name of sovereign industrial policy development. 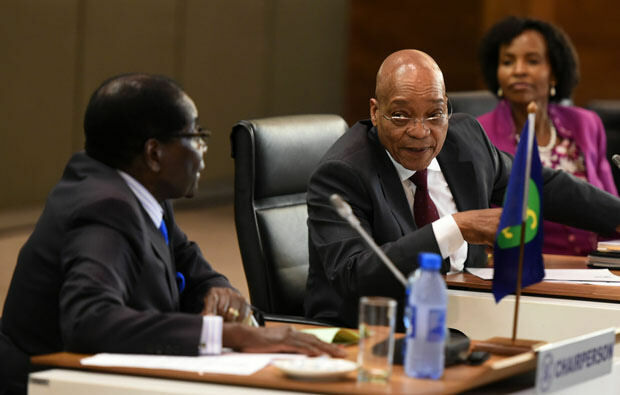 Accompanying these tensions, the unresolved trade disagreements between the two countries are expected to take a new twist, as South Africa takes over the chairmanship of the SADC on the 17th of August for a full year. The theme for South Africa’s Chairmanship: “Partnering with the Private Sector in Developing Industry and Regional Value Chains”. Zimbabwe’s illusion of trade policy sovereignty has hurt once-fruitful and cordial bilateral business relations. Policy makers in Harare are seemingly not concerned with the agreed upon sets of trade agreements and treaties that govern cross border movement of goods and services. However, it’s expected that with South Africa in the SADC chair, a new dispensation in the usage of predictable and transparent trade policy instruments in the SADC region will be ushered in. One of the mind-blowing examples of due disregard of regional trade agreements by government officials in Harare, was the introduction of the popular Statutory Instrument 64 of 2016 (now commonly known as SI64) with immediate effect, that is, without any notification or advance warning to the trading community and the SADC/COMESA Secretariats. SI 64 is a domestic legislation which requires traders to obtain an import permit from government before importing basic commodities; like coffee creamers, bottled water, white petroleum jellies and body creams, canned fruits and vegetables, peanut butter, plastics pipes and fittings, builders-ware products, metal clad insulated panels, baked beans, cereals, fertilizers, flash doors, beds, wardrobes, bedroom and dining suites, office furniture and woven fabrics of cotton, among many others. The decision/criteria to award an import permit remains a closely guarded secret, and officials feel they have no obligation to make it known to the transacting business public. This mysterious import-awarding criterion is fertile ground to rent-seeking officials. The consumer, who is always the ultimate bearer of poor decision making remains out of the equation, irrespective of the embedded vulnerabilities with respect to high consumer prices and poor product quality. All this is being done unilaterally, that is, without due regard of clearly laid down provisions of Safeguards and Trade Remedies enunciated in the SADC Protocol on Trade and the COMESA Treaty that would allow for the protection of national industries. There is no doubt that the most affected businesses were from across the Limpopo River. The use of Safeguard Measures is neither new nor complex to African countries, in fact Tanzania was recently granted a Safeguard measure on sugar imports. South Africa itself makes use of safeguards in certain circumstances. Efforts by the official delegation from Pretoria’s Union Buildings, on the margins of the 36th SADC Summit convened in Swaziland, to engage Harare authorities were fruitless. Neither have subsequent bilateral trade and investment engagements, initiated from Pretoria, Lusaka and Gaborone, yielded positive results as Zimbabwe remains obstinate and determined to maintain SI64. This coming annual Summit is an opportunity for South Africa to sanitise the so-called “Beitbridge Factor”, since it is affecting business from many other trading partners along the North-South Corridor. What is often overlooked by government policy makers is that trade agreements are designed to allow private entities to engage in cross-border trade, in an environment that is characterised by predictability and certainty. Adherence to these international and regional trade agreements therefore is central. Media reports from South Africa indicate that Business Membership Organisations (BMOs) are sharpening their swords ahead of the SADC Summit, awaiting to get answers on trade governance issues from Zimbabwe government officials. Will this month’s strategy on the engagement of Zimbabwe authorities yield different results from previous efforts? We suggest you keep an eye on the matter. While the two countries have historically enjoyed shared political ideology and vision, the same does not cascade downwards to business interests. Trade policy negotiations, governance and discussions in Zimbabwe are often perceived as a secretive government prerogative, which cannot be open to public/stakeholder analysis. In comparison, South Africa’s trade policy governance is a largely inclusive stakeholder process, barring strained public-private relations in some areas. The drama on trade governance in Zimbabwe does not end with SI64. In another puzzling development, the government of Zimbabwe recently announced that it has banned all imports of maize, with immediate effect. The announcement meant that the issuance and renewal of import licences for maize have been stopped amid indications that Zimbabwe is anticipating over 2 million tonnes of maize from the 2016/17 farming season, enough to self-sustain the nation. Local farmers are being paid US$390/tonne, yet regional exporters are landing maize imports in Zimbabwe at US$210/tonne. Regional and international farmers who are in grain export business were caught by yet another surprise announcement. In 2016 alone, Zimbabwe imported maize worth US$286 million, mainly from South Africa (32.9%), Zambia (29.7%), Mexico (18.7%), and Mauritius (8.7%), among other source markets. Meanwhile, the Zimbabwe Oil Expressers Association are currently lobbying the government to extend the maize ban to include imports of soya beans, which are mainly coming from Zambia and South Africa. The lobby industry indicated that soya bean imports are landing at US$360/tonne, far below the US$500/tonne being paid to local farmers. This development is reportedly forcing oil expressing firms to reduce the shelf price of edible oil. One wonders whose vested interests are being promoted by authorities in all these tomfooleries. In yet another dramatic turn of events, Zimbabwe is likely to taste its own ad hoc self-serving prescription/medicine on the trade policy governance’s uncertainty and unpredictability, following announcement by a senior government policymaker of the country’s intentions to export excess maize. The unanswered question remains as to which country will buy Zimbabwe’s maize exports following a long history of denying other trading partners access to its own home market. Is this an opportune time for other countries to start talking of dispute settlement/resolutions in trade agreements? A popular phrase that come to mind when discussing trade disputes is retaliation, despite its complex legal processes and technical jargons. As Zimbabwe prepares itself to attend the SADC Summit, the nation’s Speaker of the House of Assembly recently lobbied the customs authorities (ZIMRA) to raise the import duty on used cars (second hand car imports) to 150% in order to control the country’s overall import bill and save on foreign currency. Private cars, which are listed on Zimbabwe’s sensitive product list, currently attract an equivalent of 96% duty payable, inclusive of VAT, surtax and other charges. Evidently, trade policy governance in Zimbabwe is now elitist and driven by strong business lobby groups, who often find themselves in complex political overlaps. Disappointingly to Zimbabwe authorities, the forthcoming SADC Summit will provide a platform for regional private sector, concerned government-led delegations, civil society and other interest groups to seek answers from the country’s authorities. It is a very unfortunate development that Zimbabwe is now at loggerheads with its own historical and traditional trading partners, and the wounds will obviously be self-inflicted. An opportune moment has come to move away from political solidarity, and promote thriving private sector development in Zimbabwe through transparent and predictable regional trade policy! Brian Mureverwi is a Senior Trade Expert at the Zimbabwe Trade Forum, a newly established public-private dialogue platform on pertinent international trade issues.